With over 30 years of procurement and distribution experience, the Great Plains Stainless staff can provide your company with a wide range of value-added services. Our goal is to provide the best product at the best price. We provide any of the custom delivery, stocking or delivery plan options you may need in addition to providing superior testing, certification and quality control. And if expert metallurgical assistance is what you need to decide on the best solution for your business, we are happy to help. Great Plains Stainless has the expertise and experience necessary to design a customized stocking plan for your operation. Some examples of customized stocking plans include, but are not limited to: Cut to length programs, Special inspection and packaging programs, “Kit” stocking. Contact your GPS Sales Representative today to discuss a stocking plan that works for your company. Let’s face it, in today’s competitive marketplace a manufacturer needs every advantage it can get. Great Plains Stainless can implement and maintain a “Just-In-Time” (J.I.T.) stocking program for your manufacturing operation. Allowing our experienced staff to manage your procurement needs will give you the needed advantage over your competition. We have designed and developed MetalSmith™ 2.0, our proprietary inventory management software, to ensure that your material is: “100% Prime and 100% On Time”. We use the power of MetalSmith 2.0 and the knowledge of our staff to provide you with sales and service second to none. Contact your GPS Sales Representative today to discuss a delivery plan that works for your company. Do you have an unusual or unique part? Let Great Plains Stainless and our manufacturing partners fabricate it for you. 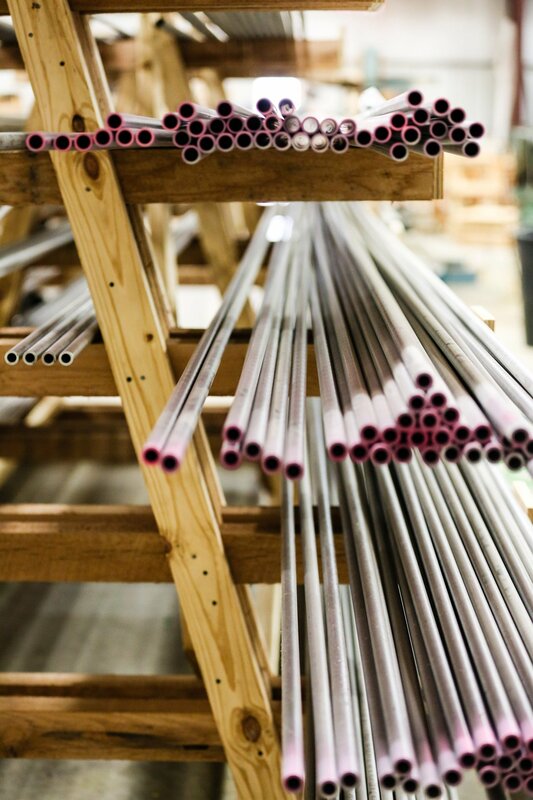 Our network of manufacturing services includes: cutting, machining and turning, forging, roll forming, tube/pipe bending, plate processing, slitting, and welding operations. If you need it, we can make it. Contact your GPS Sales Representative today to discuss your special needs. If you are one of our existing customers, you may be in any one of 50 countries. Regardless of where you are located, a mistake in a specialty product is always serious… for you and us! That is why we operate in accordance with ISO 9002 international quality controls. It is part of the “Painless Stainless” style of business you expect! We also ensure product quality by certifying our stock to accepted international standards. If you require additional testing that is beyond our standard stock requirements, we will be happy to provide it. Contact our Quality Assurance Manager for additional information. When you have an applications question concerning temperature, corrosion, or abrasion, our staff metallurgist is here to help. With so many alloys on the market, it is possible to find an entirely new solution to an old problem. Any time you have a system or unit that needs to be replaced more than once every three years, chances are we can help you select an alloy that could improve the life cycle of your unit. No one wants to make a decision about a costly new alloy on an intuitive basis. Some metals that work well can be one, two, or three times more expensive than the product you are currently using. To justify a higher “up-front” cost, you need to be sure that the life expectancy of your unit is improved by a greater factor than the increased metal cost. Our highly trained metallurgist can help you arrive at an intelligent decision that is supported by statistics. If your primary business is not metals and metallurgy, contact us for professional assistance.